So, to not only help out a great new independent gallery in the super-cool art town of Putnam, CT, AND to toss back some love/thanks for a very supportive tiny house scene, I've put together a FREE event at The Artisan Soul Gallery in Putnam, CT (run by Laura Taylor)..... FREE!!!! (PS, we ALSO have a HANDS-ON TINY HOUSE BUILDING WORKSHOP (the Diedricksen Brothers with Mike Bedsole) that will be taking place May 13-15th) in Chattanooga, TN. We'll have sign up links and details soon, or email us at newenglandrockpress@gmail.com to sign up for a spot. 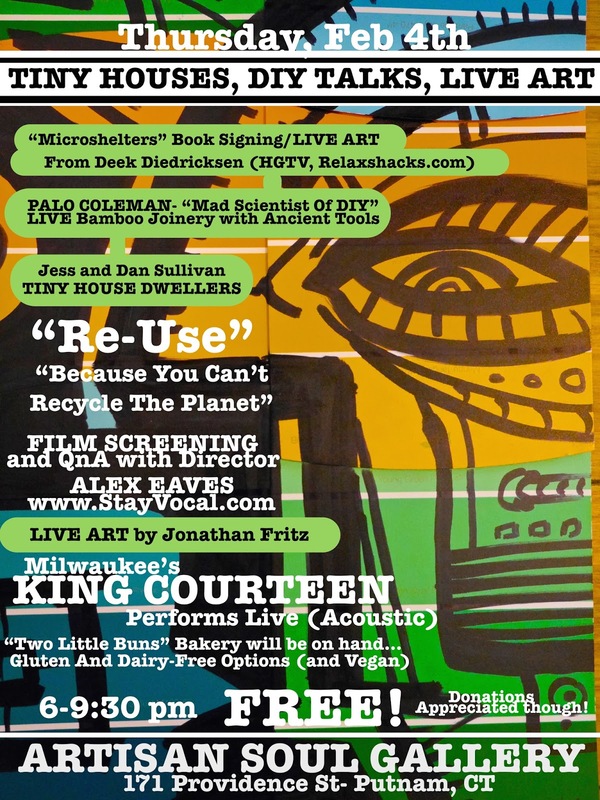 Limited space.... 3 days- 30 hours of tiny house-related building, speakers, demos, and more.... SEE/tour tiny houses as well! 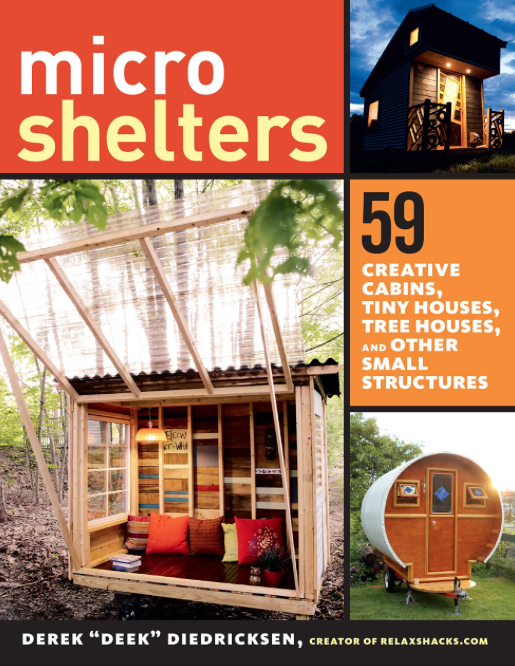 I'll be doing a book signing for my new book "Microshelters"
ONDURA.com- the makers of Tuftex Polycarbonate Panels that I use in almost ALL my builds! for backing and supporting this event!! !